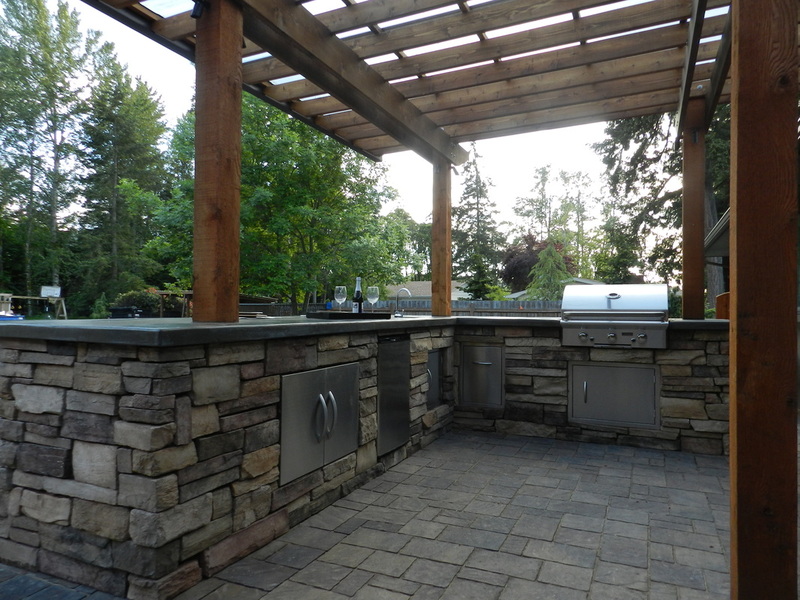 Outdoor kitchens and living rooms have become much more popular in recent years. 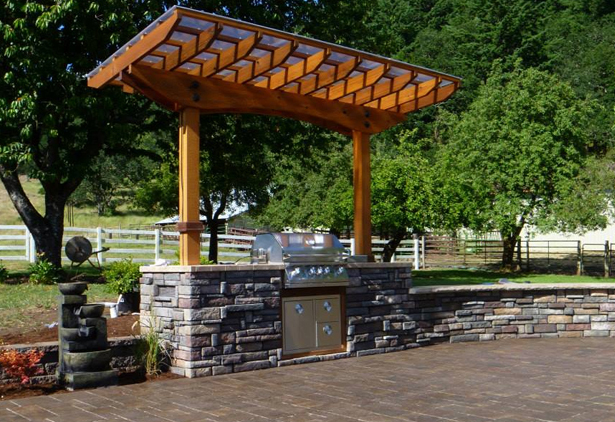 These landscape features provide a great place to entertain and enjoy time with family, friends, and neighbors. 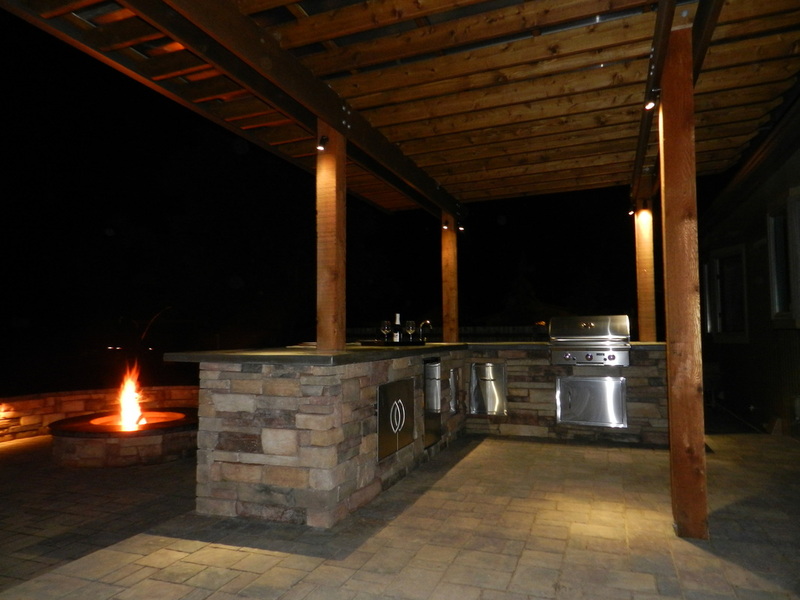 Corvallis/Albany area landscape with Belgard patio, ledgestone seat wall and BBQ surround, pergola, plant design, irrigation, and low voltage lighting, designed and installed by our team of professionals!